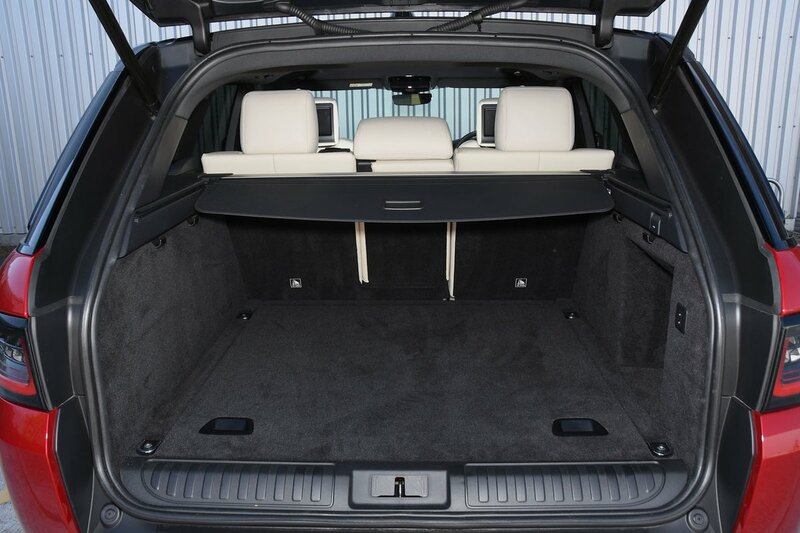 Range Rover Sport Boot Space, Size, Seats | What Car? The Range Rover Sport provides generous space for long-legged people up front. There’s plenty of elbow room, too. Less impressive is the car’s outright head room, which isn’t in the same league as that in the standard Range Rover – or as generous as that of key rivals. It’s not scant enough to cause concern among all drivers, but the particularly tall may be more comfortable in a Volvo XC90. There are two cupholders on the centre console and they can be neatly covered by a sliding lid; both are big enough for larger paper cups and 1.0-litre bottles. The glovebox and centre cubby are also a good size, although the door pockets are quite slim. The Range Rover Sport isn’t the most commodious car in its class for rear passengers, but it’s certainly big. There’s good head and knee room, for example, so a couple of six-footers are unlikely to feel cramped. A middle passenger might do, though. The two outer seats are sculpted, while the middle one is relatively narrow and uncomfortable. It’s fine for children or smaller adults on short hops, but if you want a car to regularly seat five adults for any moderate length of time, you should shop elsewhere. Like those in the front, the rear door pockets are quite small, but they will swallow a 1.0-litre bottle. There are, however, few other places to transfer the contents of your pockets into other than small nets on the front seatbacks. The Range Rover Sport is a five-seat car as standard, but you can pay extra to for two additional seats in the boot. However, the latter are nowhere near as useable as the ones in the back of the Land Rover Discovery or Mercedes-Benz GLS, with access made awkward by a narrow gap that third-row occupants must clamber through, and only sufficient space for children or small adults. Still, many will appreciate the ability to seat seven when pressed. Just remember that you can't have those extra seats in the P400e; the underfloor space they require is occupied by the hybrid system’s batteries. 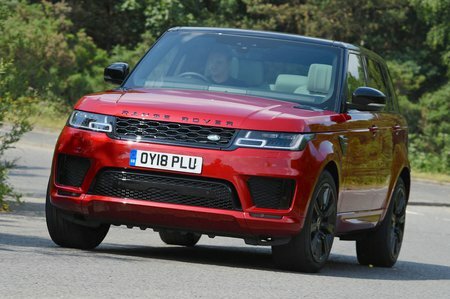 Broadly speaking, the Range Rover Sport does well to make the most of what it’s got. The second-row seats slide forward and backwards, as well as reclining to several positions, but the access they grant to the optional third row still isn’t great. The two outer seats slide and tilt forward to allow just enough space for passengers to plant a foot or a knee on their way to the rearmost row – but nothing more. What’s more, the tilted middle-row seats don’t revert to their original position afterwards, either, stopping instead in their most forward setting; that'll quickly annoy any adult who has a second-row seat reserved. When fitted, the third-row seats are raised and lowered individually electrically with buttons at the rear doors and just inside the boot opening. It takes a while for the electric motors to get the seats up or down, and they don’t take all the manual labour out of your hands – there’s still a load bay cover to remove and replace. Fortunately, this is relatively light and easy to handle. Depending on the trim level you choose, the front passenger seat gets either 16 or 18-way electric adjustment, although it’s disappointing that adjustable lumbar support is included only on high-end Autobiography Dynamic versions (it’s an optional extra on cheaper models). The SVR is the only model with lightweight Supersport front seat, which offer more lateral support than the standard ones. Heating and cooling functions are available if you pay a little extra. 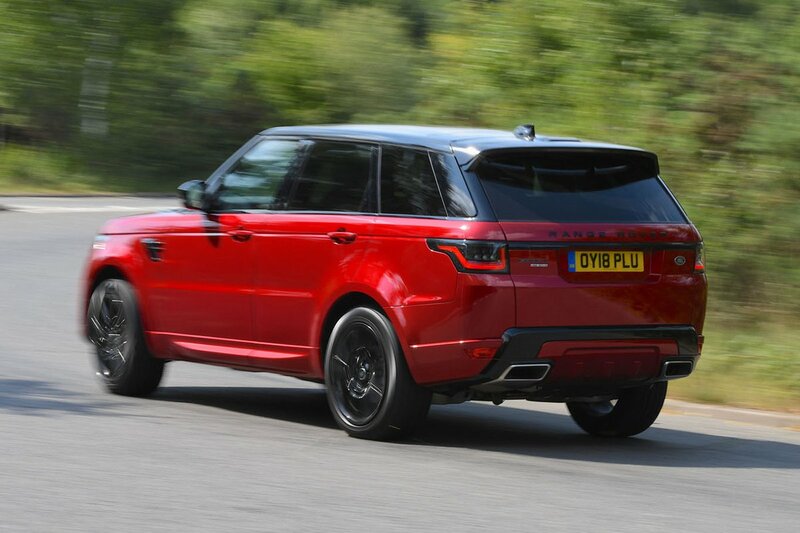 Here, too, the Range Rover Sport has a good but not outstanding hand to play. The standard hands-free, electric tailgate is a neat touch but, while some rivals offer split tailgates or separate-opening rear windows, it has neither – so accessing a fully loaded boot without disturbing its contents isn't always easy. The boot itself is wide and fairly tall. Straight sides and a broad opening grant you easy access and make it simple to load bulky items, and you can certainly fit a lot in. Some rivals pack a boot that’s deeper from front to back, and there’s no underfloor space if you add a third row of seats. The latter is true of the P400e, too, whose bulky battery pack also results in a slightly raised boot floor, and a marginally reduced capacity as a result. Whichever model you go for, though, dropping the rear seats reveals a huge load area that’ll take practically anything you throw at it. You can secure your load to the lashing points in all four corners of the boot, and you’ll find load space stowage rails with divider bars on the options list.